Today kicks off National Work Zone Awareness Week. What do you know about driving and working safely in work zones? You may be surprised by what you don’t know. Who do you think is affected most? Workers or the people passing by? Many people think it’s the men and women at work. In fact, 4 out of 5 work zone crash fatalities are drivers and their passengers. It’s not that many people though, is it? Actually, there are enough people injured and killed in work zone crashes each year to fill an entire sports arena. 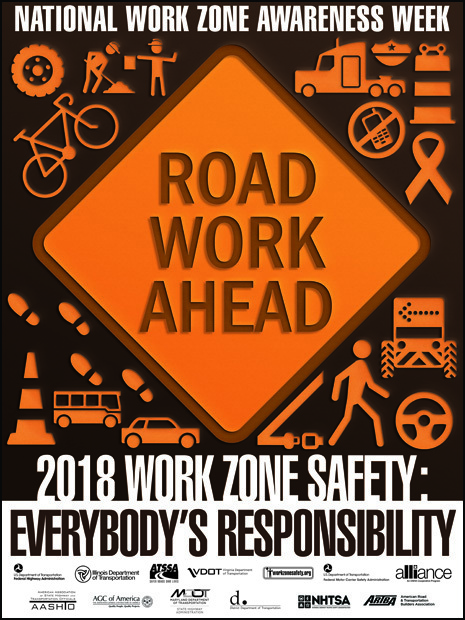 With 35,526 injuries and 700 fatalities, work zone safety can’t be ignored. Can lower speeds make a difference? A study published by Oregon State University on the effectiveness of radar speed signs in work zones found that decreasing vehicle speed made work zones safer and decreased risk for workers and motorists. While traffic cones and flags are often ignored, the study found that radar speed signs reduced the average speeds that cars traveled at. A variety of programs using photo speed enforcement, including those in MD, OR and IL found that there were significant speed reductions with the use of speed cameras in work zones. In fact, in Maryland, work zone crashes hit a 10-year low with the use of speed enforcement. Offering a variety of speed display and variable message options, SafePace signs can alert drivers to slow down, customize messages, and change speed limits based on work schedules. Our speed cameras offer a powerful enforcement tool to penalize speeders in your work zones. For more great ideas on how to keep work zones safe, check out this helpful FHWA guide.